Photos: Wooden gate post. Gougane Barra, Co. Cork, SW Ireland. Variable. Green or greenish-grey, whitish or dark bluish-grey, flattened granular areoles. 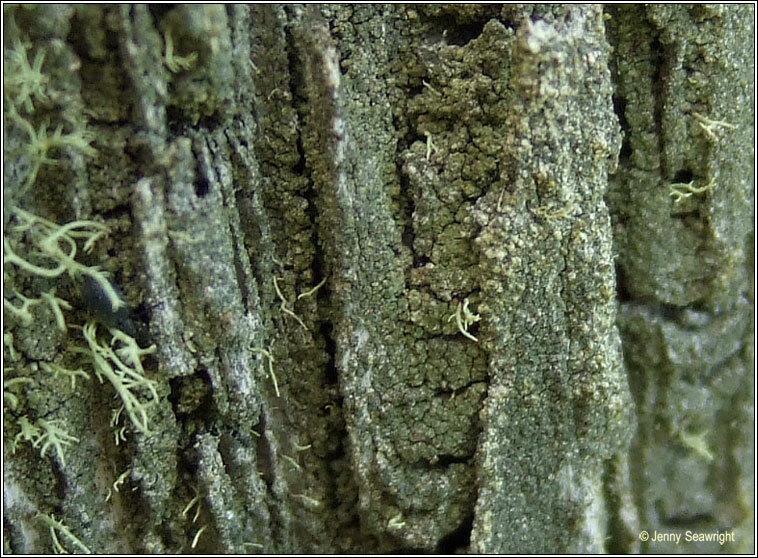 Powdery grey-green to dark bluish-green soredia can spread to cover thallus. 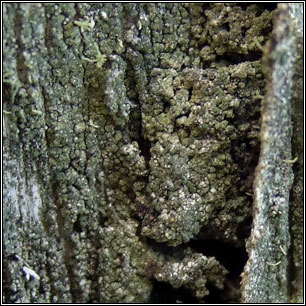 Apothecia are infrequent, discs green-grey to green-black, pinkish in deep shade. 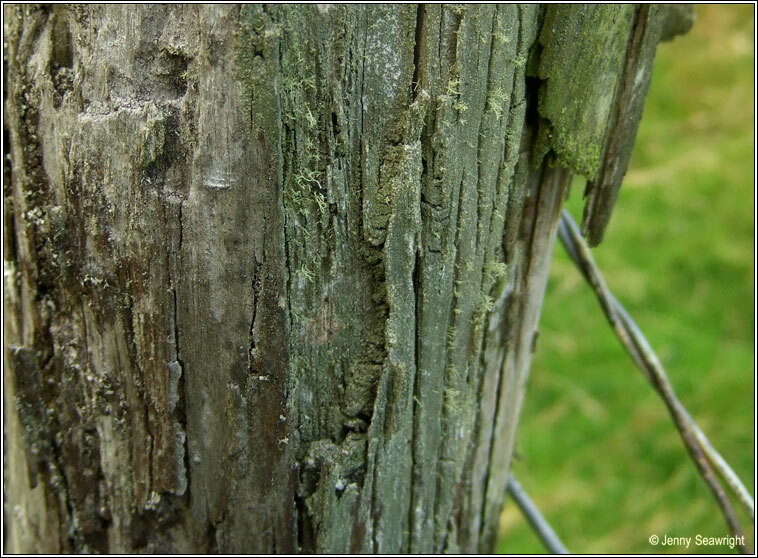 Occurs on old fences, wooden posts, railings and garden furniture, tree stumps. Also recorded from siliceous rocks and acid bark.